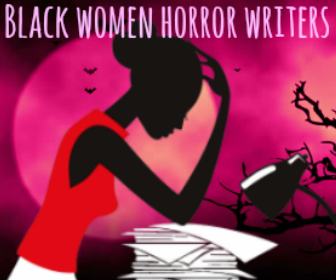 My friend, former magazine editor, published author, and fellow avid horror fan Christine Makepeace brought to my attention an essay on Monday that covers one of the biggest gaps I find in this project: why there aren't many Black horror filmmakers. It is extremely difficult to even begin a breakdown of why. How or can that question even be answered without a faulty explanation? Matt Barone's essay for The Dissolve titled, "Horror's scariest trend is the nonexistent black filmmaker" at least takes to task the historical trajectory of Black horror films, noticing the significant gaps and talking to industry insiders such as genre filmmaker Ernest Dickerson. Dickerson is one of, if not the only relatively well known Black filmmaker with multiple horror films and television series on his resume discusses witnessing outright racist feedback, his struggles to produce more genre content, and his ideas on moving Black narratives forward, not backward (in response to the products being greenlit post- 12 Years A Slave). Those of us who operate as cultural 'insiders' to Black artistic production, being enraged by ideas that Black people do not actively imagine themselves in the future or in a state of fantastical terror comes easy. As history compels, if they push, we'll pull. What I've learned is that there are many Black filmmakers who want their genre concepts materialized. And when they do, we need to not just see these films, but talk about them, share them, ensure there's evidence to refute, "Black people don't make horror movies." Much like the movement to eradicate gender discrimination in the genre, the intersectional approach to this topic is equally egregious when race plays into ideas that invoke an unsettling level of discomfort in what is apparently now a country or a planet that needs to move past race. Except that there are always massive barricades in our direct path. Those barricades are exactly why a write-up like Barone's are so relevant and Jordan Peele wants his opportunity to address that discomfort, I can imagine in way we haven't seen since Tales From The Hood nearly 20 years ago. A discomfort dependent upon a level of fear at confronting damaging home truths: we're not as "progressive" as we'd like to imagine. An insidious refusal to see Black characters as whole subjects, to allow Black artists the power to tell their own stories, a fear that horror's transformative potency will (perish the thought) allow attitudes to change and opportunities to prosper. Enough of these artists have reached the table only to hear questions like, "Do the characters have to be black?". Funny enough, I remember hearing that exact statement from a classmate I was writing a treatment with back when I was a lowly ninth grader. It seems things haven't changed much. The next step after stewing in the why of this matter needs to be an attempt at answering where. I do a lot of solo pondering on where "Black horror" artists are in their corners of the internet and do what I can to share not only their work, but their thoughts. I once wrote about this search that only created a more determined platform in an attempt to begin somewhere. To be a window of support and access where Black horror filmmakers negate any objections to their place in the genre with their work that entertains, inspires, and scares. When Barone asks, "So where's the new Tales From The Hood?" I can only think, if I had the answer to that question, I'd probably be much better off financially.